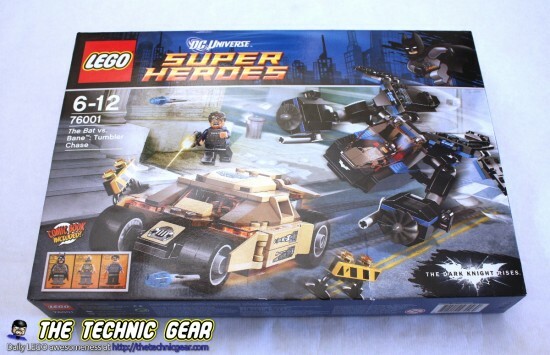 A few weeks ago I got the 76023 Tumbler, and I am really looking forward to build it soon. So meanwhile I review for you the Bat vs Bane the Tumbler chase. You can never get it wrong with Batman! 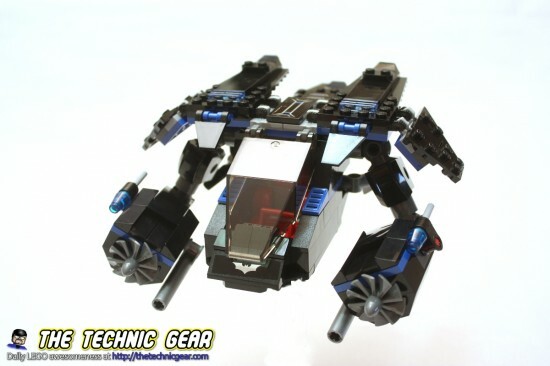 Where can I buy LEGO 76001? The box is moderately full… pretty much like all of these size for a LEGO set. And this is the back side of the box. The set comes with two small manuals. It is a pretty interesting experience to build this set. The Tumbler looks quite good and it is really solid. But perhaps the most interesting part is the Bat that it is quite more complex to build and has some interesting techniques to attach the engines to it. It cames in black color ( no, it is not a very dark grey! ) and it is a really cool model with a few interesting techniques to build it. It features two big fans that works pretty much like engines and a windowed cockpit for your favorite superhero. 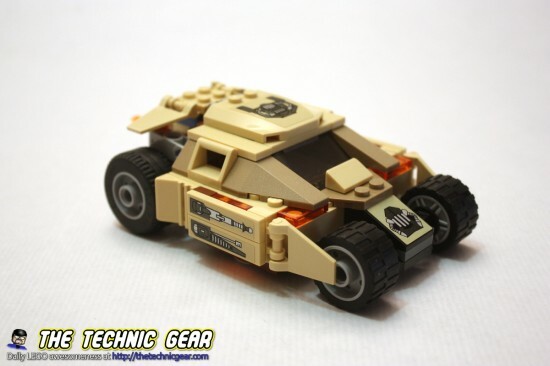 Featuring a beige color, the Bane’s tumbler is really nice ( and as cool as the Batman’s one but still pretty cool ). 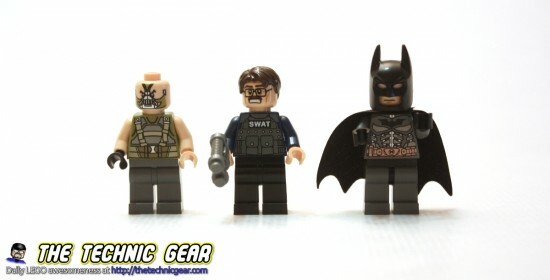 This set comes with three minifigs, Batman in a dark grey suit, Bane and Police Commissioner Gordon. So here is my score. 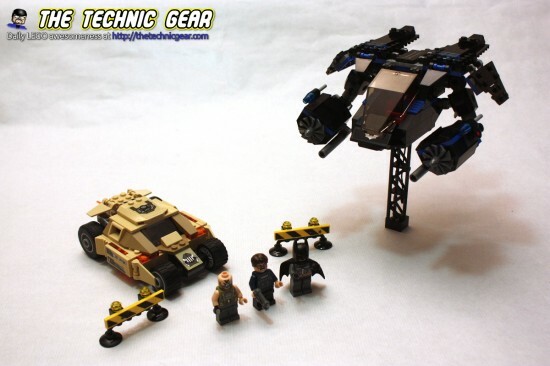 It is a nice set and definitively a must-have if you are a die-hard Batman fan. – The Bat doesn’t fly. – Batman comes with no black suit. 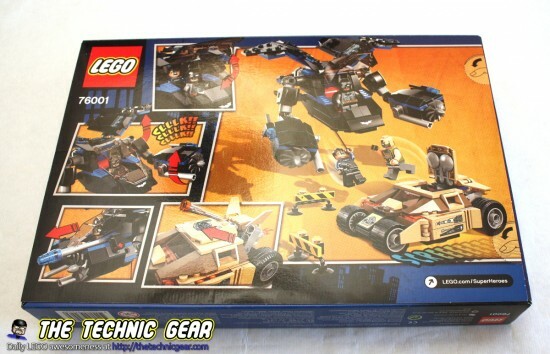 Does LEGO 76001 worth the money? Definitively! Check at Amazon for a bargain or have a look at the LEGO Shop if you are desperate.